The memorial Mass for Sister Eleanor Agnes Sheehan was celebrated Feb. 20 at the Nazareth Living Center Chapel in Oakville. Sister Eleanor, 90, died Feb. 9 at Nazareth of end-stage dementia. Born in Denver, Sister Eleanor entered the Sisters of St. Joseph in 1947 and made her final profession in 1953. She received a bachelor’s degree in American history from Fontbonne College in 1956, a master’s degree in dogmatic/systematic theology from the Catholic University of America in 1965, and a doctorate degree in dogmatic theology from the Catholic University of America in 1967. From 1950-55, Sister Eleanor taught primary grades at Saints Mary and Joseph School in St. Louis. She taught intermediate grades at Nativity School in St. Louis the next school year and a year later taught at Holy Rosary School. Impressed with her knowledge of and love of Scripture, the community asked her to begin studying theology in 1957 at Regina Mundi College in Rome. From 1958-64, she was on the faculty at Fontbonne College in St. Louis where her goal was to help all of her students learn to read, study and love the Word of God. After working on her advanced degrees, she returned to teaching at Fontbonne in 1967. In 1971 Sister Eleanor moved to Michigan State University in East Lansing, Mich., to serve in campus ministry. For the next six years she taught Scripture classes, helped plan liturgies and attended house parties and cookouts with students. Sister Eleanor served as provincial councilor and regional superior from 1977-80. She then moved to Kaneohe, Hawaii, to serve as the adult education consultant for the diocesan religious education office. 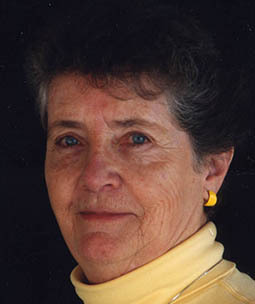 In 1984, she returned to her native Colorado to serve as a religious education teacher and then as a retreat director at Sacred Heart Retreat House in Sedalia, Colo., where she retired in 2007. She moved to Nazareth in 2012. Burial was in Resurrection Cemetery. Survivors include her brother, Jim Sheehan of Denver.